The Fall colors are slowly starting to change along Cedar Creek in Southwest Washington. 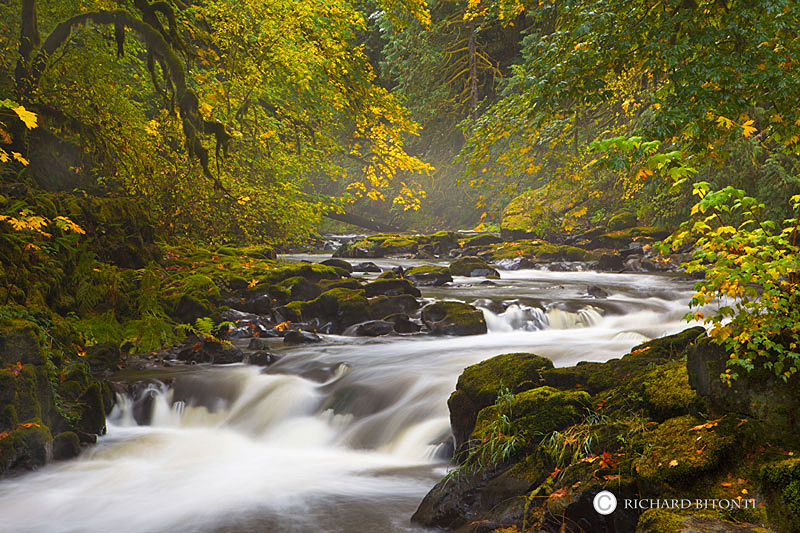 Cedar Creek is the creek that flows along the famed Grist Mill just outsiode of Woodland, Washington. Photo © copyright by Richard Bitonti.